Click here for purchase or inquiry. 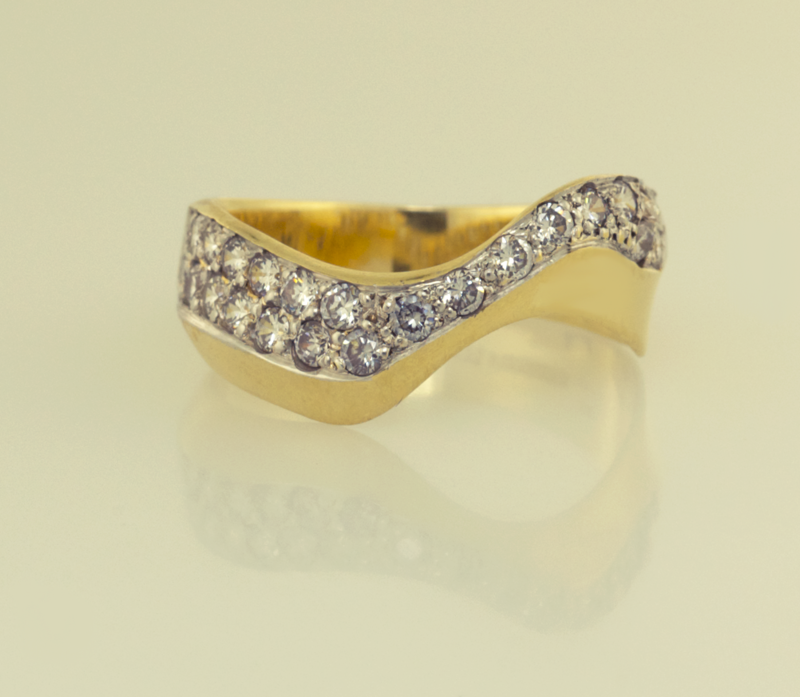 14KT yellow and white gold wave ring, pavé set with .50ct. of round brilliant shaped diamonds. A Copyrighted design by Thomas Michaels Designers.